New ship systems that greatly alter gameplay. New sector and new events created with the help of Tom Jubert and guest writer, Chris Avellone. New weapons, drones, equipment, enemy ships, and hostile environments. Lots of smaller improvements such as the ability to assign crew stations for quick management. Additionally, the entire original game and Advanced Edition update will be playable on iPad. We spent a considerable amount of time to get the iPad version as fun as possible and are happy to say it has exceeded our expectations. We plan to simultaneously make the iPad version available for purchase and update the existing PC game early 2014. There’s also a new announcement trailer below. Wheeeee! Awesome news! I need to find a new game to supplant my Weird Worlds: Return to Infinite Space addiction on my iPad, and this should do the trick! 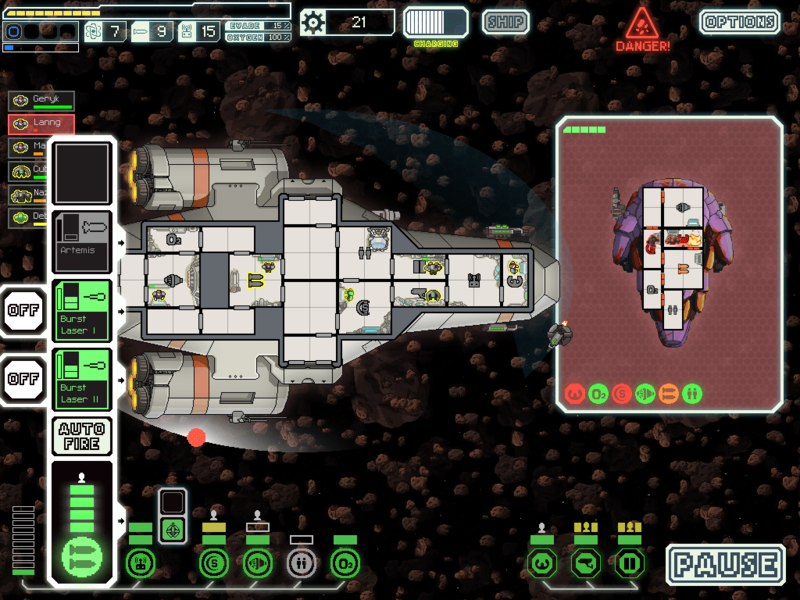 FTL: AE is a free expansion for all PC platforms? Don’t see it in my gog account yet. Nevermind just found out though FTL site its coming in 2014. Previous story Wing Commander: Prophecy Launches on GOG!